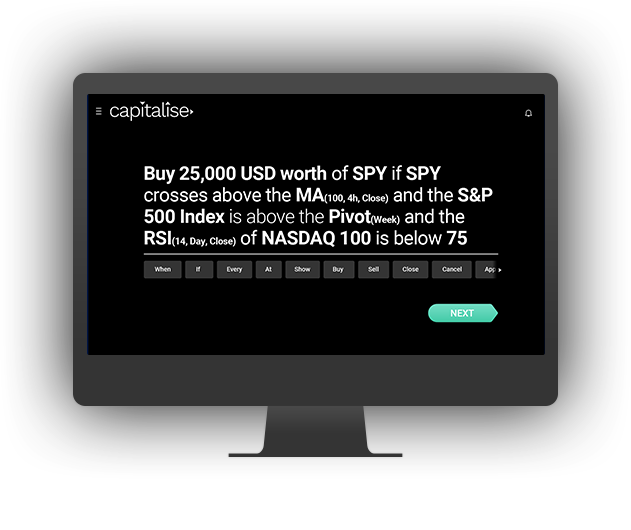 Please also read Capitalise's Term of Use at: https://www.capitalise.ai/, which describe the terms under which you use our Services. 1.1. Information You Provide. If you had to open an account on the Services, we ask you for personal information, including: name and email address. 1.2. Third Parties. 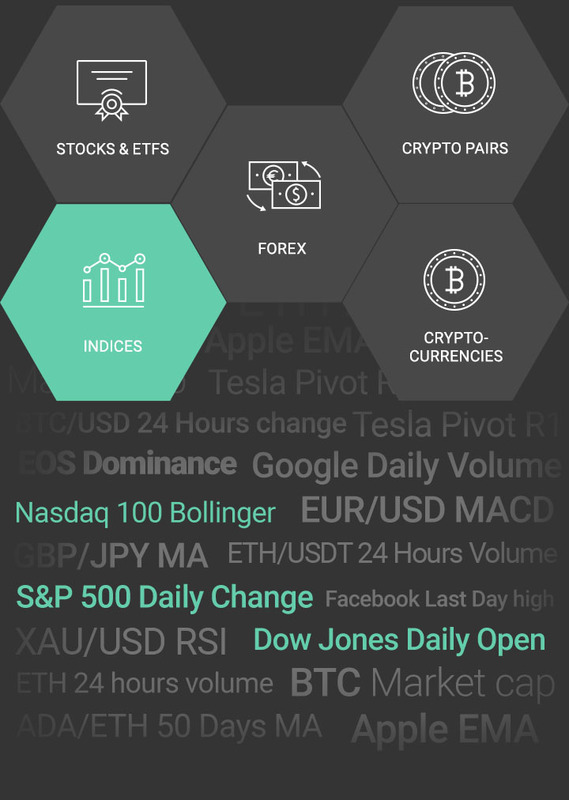 We sometimes supplement the information that you provide with information that is received from third parties, such as your trading platform providers. 1.3. User Communications. When you send email or other communication to the Company, we may retain those communications in order to process your inquiries, respond to your requests and improve our Services. We may send you push notifications with news and updates in respect of the Services. We may also send you newsletters and promotional communications, you may opt-out of this service at any time by submitting a request at the following link: support@capitalise.ai . 1.4. User Information. When you use our Services, we may automatically receive and record information from your device and browser, your IP address, cookie information, search history, device ID, your regional and language settings and software and hardware attributes. Our systems may automatically record and store technical information regarding the method and nature of your use of the Services, including without limitation which pages of the Services our visitors view and what content they used. An IP address is a numeric code that identifies your device on a network, or in this case, the Internet. Your IP address is also used to gather broad demographic information. The Company uses all of the PII that we collect to understand the usage trends and preferences of our users. 1.5. Aggregate and Analytical Data.In an ongoing effort to better understand trends, statistics and serve the customers of the Services, we often conduct research on our customer demographics, interests and behavior based on the PII and other information provided to us, including your trade instructions. This research may be compiled and analyzed on an aggregate basis, and we may share this aggregate data with our affiliates, agents and business partners. This aggregate information does not identify you personally. We may also disclose aggregated user statistics in order to describe our services to current and prospective business partners, and to other third parties for other lawful purposes. 2. Cookies. In order to provide an efficient service, e.g. : remember your registration and login details; remember your settings preferences and provide you a quality service when contacting us, we may collect the data described herein by using temporary cookies that remain on your device for a limited period of time. We may also use persistent cookies that remain on your device until manually removed, in order to manage and maintain the services and record your use of the Services. Cookies by themselves cannot be used to discover the identity of the user. A cookie is a small piece of information which is sent to and stored on your device. Cookies do not damage your device. Most browsers or devices may allow you to block cookies block cookies but you may not be able to use some features on the Services if you block them. You may set most browsers to notify you if you receive a cookie (this enables you to decide if you want to accept it or not). We may also use web beacons via the Services to collect information. Web beacons or "gifs", are electronic images that may be used in our Services or in our emails. We use Web beacons to deliver cookies, count visits and to tell if an email has been opened and acted upon. 3. Links. Links to other services, sites and applications may be provided by the Company as a convenience to our users. The Company is not responsible for the privacy practices or the content of other sites and applications and you visit them at your own risk. This privacy statement applies solely to PII collected by us. 4. Children. If you are a child under the age of 18, please do not use our Services. The Company will not knowingly contact or engage with children under the age of 18. If you have reason to believe that a child has provided us with their PII, please contact us at the address given above and we will endeavor to delete that PII from our databases. 5. Information Sharing. The Company may share PII in the following circumstances: (a) as required for the provision, maintenance and improvement of the Services, including sharing information with your trading platform providers; (b) if we become involved in a reorganization, merger, consolidation, acquisition, or any form of sale of some or all of our assets; and/or (c) to satisfy applicable law or prevention of fraud or harm or to enforce applicable agreements and/or their terms, including investigation of potential violations thereof. 6. Information Security. We follow generally accepted industry standards to protect against unauthorized access to or unauthorized alteration, disclosure or destruction of PII. However, no method of transmission over the Internet, or method of electronic storage, is 100% secure. Therefore, while we strive to use commercially acceptable means to protect your PII, we cannot guarantee its absolute security. We keep your PII only for as long as reasonably necessary for the purposes for which it was collected or to comply with any applicable legal or ethical reporting or document retention requirements. 7. Data Integrity, Accessing and Updating Personal Information. The Company processes PII only for the purposes for which it was collected and in accordance with this policy or any applicable service agreements. We review our data collection, storage and processing practices to ensure that we only collect, store and process the PII needed to provide or improve our Services. 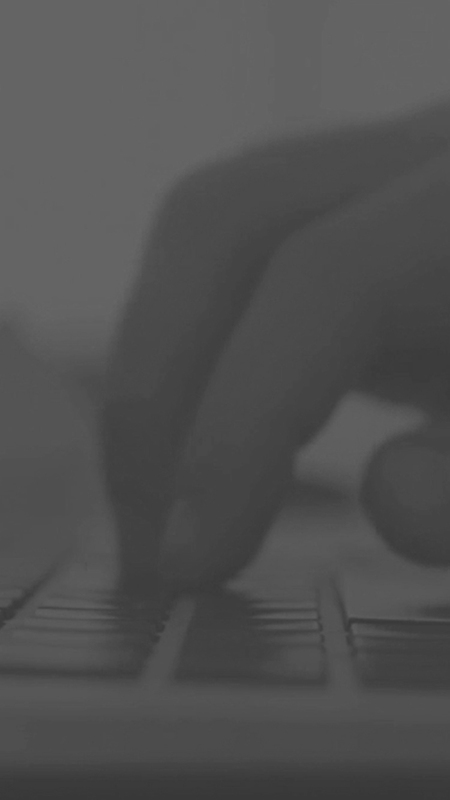 We take reasonable steps to ensure that the PII we process is accurate, complete, and current, but we depend on our users to update or correct their PII whenever necessary. Nothing in this policy is interpreted as an obligation to store information, and we may, at our own discretion, delete or avoid from recording and storing any and all information.Upon receipt of your written request and enough information to permit us to identify your PII, we will, if required by law, disclose to you the PII we hold about you. Upon your request, we will also correct, amend or delete any PII that is inaccurate. We do not charge for complying with a correction request, however, for all other requests, we may charge a small fee to cover its costs. Requests to delete PII are subject to any applicable legal and ethical reporting or document retention obligations imposed on the Company. We may decline to process requests that are unreasonably repetitive or systematic, require disproportionate technical effort, jeopardize the privacy of others, or would be extremely impractical, or for which access is not otherwise required. 8. Enforcement. The Company regularly reviews its compliance with this policy. Please feel free to direct any questions or concerns regarding this policy or our treatment of PII by contacting us as provided above. When we receive formal written complaints it is the Company's policy to contact the complaining user regarding his or her concerns. We will cooperate with the appropriate regulatory authorities, including local data protection authorities, to resolve any complaints regarding the transfer of PII that cannot be resolved between the Company and an individual. 10. Consent To Processing. By providing any PII to us pursuant to this policy, all users, including, without limitation, users in the United States, Israel and member states of the European Union, fully understand and unambiguously consent to this policy and to the collection and processing of such PII abroad. The server on which the Services are hosted and/or through which the Services are processed may be outside the country from which you access the Services and may be outside your country of residence. Some of the uses and disclosures mentioned in this policy may involve the transfer of your PII to various countries around the world that may have different levels of privacy protection than your country. By submitting your PII through the Services, you consent, acknowledge, and agree that we may collect, use, transfer, and disclose your PII as described in this policy. If you do not consent to the terms of this policy, please do not use the Services. 11. Questions.If you have any questions about this policy or concerns about the way we process your PII, please contact us at support@capitalise.ai. If you wish to delete all information regarding your use of the Services, please contact us at: support@capitalise.ai. We may unilaterally change or add to the terms of these Terms at any time. In the event of a material change, We shall notify you via email or by means of a prominent notice on the Services. 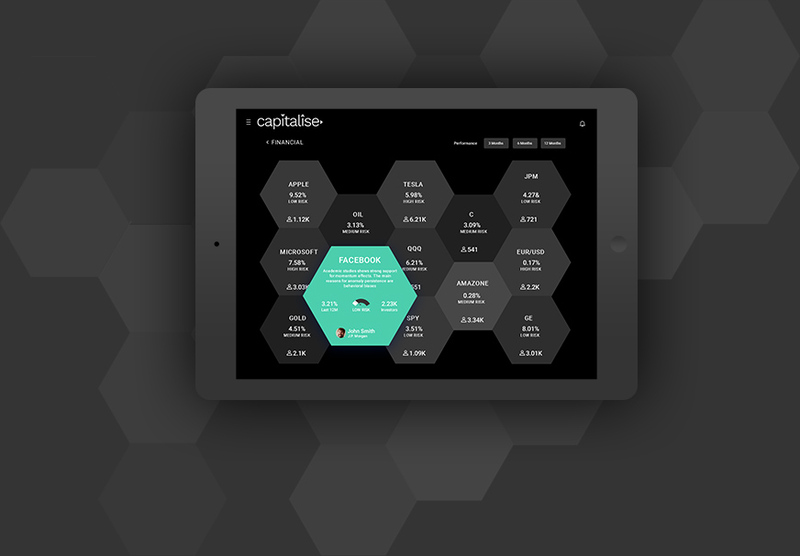 You should check our Services periodically and review changes to the Terms at the following URL: www.Capitalise.ai . By continuing to use the Services following such modifications, you agree to be bound by such modifications. ARBITRATION NOTICE: THESE TERMS CONTAIN AN ARBITRATION CLAUSE INSECTION 13 BELOW. EXCEPT FOR CERTAIN TYPES OF DISPUTES, AS EXPLAINED SECTION 13, YOU AND CAPITALISE AGREE THAT DISPUTES BETWEEN US WILL BE RESOLVED BY MANDATORY BINDING INDIVIDUAL ARBITRATION, AND YOU AND CAPITALISE WAIVE ANY RIGHT TO PARTICIPATE IN A CLASS-ACTION LAWSUIT OR CLASS-WIDE ARBITRATION. Subject to the terms and conditions set forth herein, Capitalise hereby grants to you, and you accept, a personal, nonexclusive, non-transferable, non-sublicensable, revocable, limited license to access and make personal non-commercial use of the Services, only according to the terms of these Terms. The license may be terminated by Capitalise at any time. You undertake hereby represent that you are at least eighteen (18) years old. Except as specifically permitted herein, you agree not to (i) sell, license (or sub-license), lease, assign, transfer, pledge, or share your account and/or any of your rights under these Terms with/to any third party; (ii) transfer,distribute, scrap, copy all or any part of the Services and/or the Capitalise IPR (as defined below)and/or use the Services as a service bureau; (iii) syndicate any part of the Services or refer to the Services by use of framing; (iv) make use of the Services in any jurisdiction where same are illegal or which would subject Capitalise or its affiliates to any registration requirement within such jurisdiction or country; (v) access the Services through or use with the Services any automated or unauthorized means, services or tools including without limitation any data mining, robots, or any other automated means or data gathering and extraction tools, including without limitation in order to extract for re-utilization of any parts of this Services; (vi) perform any act that destabilizes, interrupts or encumbers the Services or their servers or use “load testers”, that enable sending more calls to the servers of the Services, in a given period of time, than a human can reasonably send in that time period by using the Services; (vii) copy, modify, translate, reverse engineer, decompile, disassemble (except to the extent applicable laws specifically prohibit such restriction), make any attempt to discover the source code of the Services and/or any other software available on the Services or create derivative works thereof;(viii) create false personas, multiple identities, set up an account on behalf of someone other than yourself or create another account after We have already disabled your account; (ix) attempt to interfere with, hack into or decipher any transmissions to or from the servers for the Service; (x)download or otherwise export or re-export the Services or underlying information or technology (a)into (or to a national or resident of) Cuba, Iraq, Libya, North Korea, Lebanon, Iran, Syria or any other country to which the U.S. and/or Israel has embargoed goods and services; or (b) to anyone on the U.S. Treasury Department's list of Specially Designated Nationals or the U.S. Commerce Department's Table of Denial Orders. You are solely responsible for obtaining, paying for, repairing and maintaining all the equipment,software, hardware and services required for getting access to and using the Services. The Services, including without limitation any underlying data, software, platforms, algorithms,technology, application design, any information, logos, trade-names and brands, services, text,application "look and feel" and features, Feedback (defined below) and any enhancements,improvements and derivatives thereof and all Intellectual Property Rights related thereto ("Capitalise IPR") are the property of Capitalise and/or its licensors, as the case may be, who retain all right, title and interest in connection therewith. No transfer or grant of any rights by Capitalise is made or is to be implied by any provision of these Terms or by any other provision contained in the Services with respect to the Capitalise IPR or otherwise, except for the limited license set forth in Section 2 above. "Intellectual Property Rights" means worldwide, whether registered or not (a) rights associated with works of authorship, designs, mask works and photography including copyrights; (b) trademarks,service marks, domain names, logos, trade names, trade dress, the right to publicity and good will rights; (c) patents, patent applications and industrial designs; (d) trade secrets; (e) rights analogous to those set forth herein and any other proprietary rights relating to intangible property; (f) divisions,continuations, renewals, reissues and extensions of the foregoing (as applicable) now existing or hereafter filed, issued, or acquired. 5.1 Your Content. You shall have sole responsibility and liability for any instructions you submit to the Services and for your use of the Services ("Your Use"). You acknowledge that nothing prevents or limits Capitalise's or any other user's right to use the same or similar instructions. 5.2 Representations and Warranties. You represent and warrant to Capitalise that: (i) Your Use comply with and will comply with all applicable laws, rules and regulations, the Terms and will not infringe the rights of any third party, including without limitation any Intellectual Property Rights; (ii) you have, and will have at all times, all rights, licenses and consents required for your use of the Services. You may be required to open an account on the Services or interface with the Services through an account of a third party trading platform provider. You are solely responsible for any actions performed in the Services under your credentials. Keeping your credentials safe is your sole responsibility. If you have any reasons to suspect that your credentials were discovered by any third party or that there was an unauthorized access to your account you will immediately notify Capitalise and your trading platform provider and modify your login information. Notwithstanding anything to the contrary herein, if you send us ideas, suggestions, inventions, or materials regarding the Services ("Feedback"), we shall: (i) own all right, title and interest in and to the Feedback without any restriction; (ii) not be subject to any obligation of confidentiality, other than in respect of your personally identifiable information; and (iii) be entitled to unrestricted use of the Feedback for any purpose whatsoever, without compensation or credit to you or any other person. YOU AGREE THAT YOUR USE OF THE SERVICES AND/OR THE CAPITALISE IPR SHALL BE AT YOUR OWN RISK. THE SERVICES, INCLUDING WITHOUT LIMITATION CAPITALISE IPR ARE PROVIDED "AS IS" AND WITHOUT WARRANTIES OF ANY KIND EITHER EXPRESS OR IMPLIED. TO THE FULLEST EXTENT PERMISSIBLE PURSUANT TO APPLICABLE LAW, CAPITALISE DISCLAIMS ALL WARRANTIES, EXPRESS OR IMPLIED,INCLUDING WITHOUT LIMITATION IMPLIED WARRANTIES OF MERCHANT ABILITY,NON-INFRINGEMENT AND FITNESS FOR A PARTICULAR PURPOSE. THE SERVICES ARE PROVIDED MERELY AS A TOOL TO BE USED BY YOU. CAPITALISE DOES NOT PROVIDE ANY ADVICE, CONSULTATION, ADVERTISEMENT, OFFER OR SOLICITATION FOR THE PURCHASE OR SALE OF ANY INVESTMENT OR SECURITIES. CAPITALISE DOES NOT PROVIDE ANY ADVICE OR CONSULTATION REGARDING THE USE OR PURPOSE OF USE OF THE SERVICES AND DOES NOT ENDORSE ANY OUTPUT OF THE SERVICES AND/OR ANY DATA USED THEREWITH, INCLUDING WITHOUT LIMITATION ANY MARKET INDICATION OR RESEARCH RESULTS. WITHOUT DEROGATING FROM THE FOREGOING AND FOLLOWING DISCLAIMERS, CAPITALISE IS NOT A PARTY TO, AND WILL NOT HAVE ANY LIABILITY OR RESPONSIBILITY WITH RESPECT TO ANY INVESTMENT OR TRADING ACTIONS OR DECISIONS MADE IN CONNECTION AND/OR AS A RESULT OF USING THE SERVICES. ALL USE OF AND RELIANCE ON THE SERVICES AND THEIR RESULTS SHALL BE SOLELY UNDER YOUR RESPONSIBILITY AND LIABILITY. CAPITALISE DOES NOT WARRANT THAT THE CAPITALISE IPR AND/OR SERVICES WILL BE UNINTERRUPTED OR ERROR-FREE, OR THAT THESE SERVICES OR THE SERVER(S) THAT MAKES THESE SERVICES AVAILABLE ARE FREE OF VIRUSES OR OTHER HARMFUL COMPONENTS. YOU ARE ADVISED TO VERIFY WITH YOUR TRADING PLATFORM PROVIDER THAT ALL OF YOUR INSTRUCTIONS WERE TRANSMITTED SUCCESSFULLY. CAPITALISE DOES NOT WARRANT OR MAKE ANY REPRESENTATIONS REGARDING THE USE OR THE RESULTS OF THE USE OF THE CAPITALISE IPR OR SERVICES INCLUDING WITHOUT LIMITATION THEIR CORRECTNESS, ACCURACY, RELIABILITY,AVAILABILITY OR OTHERWISE. YOU ARE RESPONSIBLE FOR TAKING ALL PRECAUTIONS NECESSARY OR ADVISABLE TO PROTECT YOU AGAINST ANY CLAIM,DAMAGE, LOSS OR HAZARD THAT MAY ARISE BY VIRTUE OF YOUR USE OF OR RELIANCE UPON THE SERVICES AND/OR ANY OF THE CAPITALISEIPR. TO THE MAXIMUM PERMITTED UNDER LAW, UNDER NO CIRCUMSTANCES WHATSOEVER WILL CAPITALISE AND ITS AFFILIATES, PARTNERS, OFFICERS,DIRECTORS, EMPLOYEES, SHAREHOLDERS, AGENTS, LICENSORS, SUBCONTRACTS AND SUPPLIERS BE RESPONSIBLE OR LIABLE TO YOU OR TO ANY OTHER ENTITY,EVEN IF ADVISED OF THE POSSIBILITY OF SUCH DAMAGES, UNDER ANY LEGAL THEORY, WHETHER CONTRACT, TORT OR OTHERWISE FOR ANY DIRECT,COMPENSATORY, INDIRECT, INCIDENTAL, CONSEQUENTIAL INCLUDING WITHOUT LIMITATION ANY LOST PROFITS AND LOST BUSINESS OPPORTUNITIES, BUSINESS INTERUPTION, REVENUE, INCOME, GOODWILL, USE, DATA OR OTHER INTANGIBLE LOSSES, SPECIAL, EXEMPLARY, OR PUNITIVE DAMAGES THAT RESULT FROM OR RELATE IN ANY MANNER WHATSOEVER TO YOUR USE OF THE SERVICES, OR RELIANCE ON ANY OF THE CAPITALISE IPR OR TO ANY ERRORS, INACCURACIES,OMISSIONS, DEFECTS, SECURITY BREACHES, OR ANY OTHER FAILURE TO PERFORM BY CAPITALISE . WITHOUT DEROGATING FROM THE FOREGOING, IF DESPITE THE FORE GOING CAPITALISE WILL BE FOUND LIABLE OR RESPONSIBLE BY A COMPETENT AUTHORITY, UNDER ANY LEGAL THEORY, CAPITALISE'S AGGREGATE LIABILITY SHALL NOT EXCEED 100$. You agree to defend, indemnify and hold Capitalise and anyone on its behalf, including but not limited to, all of its owners, managers, officers, affiliates, employees, licensors and suppliers harmless against any losses, expenses, costs, claims, damages (including attorneys' fees, expert fees' and other costs of litigation) arising from, incurred as a result of, or in any manner related to: (i) any use of your account and/or Your Use; (ii) any third party claim in respect of Your Use; (iii) any breach of these Terms. We may terminate these Terms and/or suspend your right to access or use any portion or all of the Services and/or Capitalise IPR immediately (including without limitations the license set forth in Section 2 above), at our sole discretion without notice. Upon termination you shall immediately cease using the Services and the following Sections shall survive: 1,3, 4, 5.2, 7-14. 13.1 Applicability of Arbitration Agreement. All claims and disputes arising out of or relating to these Terms or the use of the Services that cannot be resolved in small claims court will be resolved by binding arbitration on an individual basis ("Disputes"), except that you and Capitalise are not required to arbitrate any dispute for enforcement or infringement of either party's Intellectual Property Rights ("Excluded Disputes"). Any and all Disputes relating to,arising out of, or in any way in connection with your rights of privacy and publicity are not Excluded Disputes. 13.2 Arbitration Rules. The Federal Arbitration Act governs the interpretation and enforcement of this dispute-resolution provision. Arbitration will be initiated through the American Arbitration Association ("AAA"). If the AAA is not available to arbitrate, the parties will select an alternative arbitral forum. The rules of the arbitral forum will govern all aspects of this arbitration, except to the extent those rules conflict with these Terms. The AAA Consumer Arbitration Rules governing the arbitration are available online at www.adr.org or by calling the AAA at 1-800- 778-7879. The arbitration will be conducted by a single neutral arbitrator.Any Disputes where the total amount sought is less than $10,000 USD may be resolved through binding non-appearance- based arbitration, at the option of the party seeking relief. For Disputes where the total amount sought is $10,000 USD or more, the right to a hearing will be determined by the arbitral forum's rules. Any judgment on the award rendered by the arbitrat or may be entered in any court of competent jurisdiction. 13.3 Additional Rules for Non-appearance Arbitration. If non-appearance arbitration is elected,the arbitration will be conducted by telephone, online, written submissions, or any combination of the three; the specific manner will be chosen by the party initiating the arbitration. The arbitration will not involve any personal appearance by the parties or witnesses unless the parties mutually agree otherwise. 13.4 Authority of the Arbitrator. The arbitrator will decide the jurisdiction of the arbitrator and the rights and liabilities, if any, of you and Capitalise. The dispute will not be consolidated with any other matters or joined with any other cases or parties. The arbitrator will have the authority to grant motions dispositive of all or part of any claim or dispute. The arbitrator will have the authority to award monetary damages and to grant any non-monetary remedy or relief available to an individual under applicable law, the arbitral forum's rules, and the Terms. The arbitrator will issue a written award and statement of decision describing the essential findings and conclusions on which the award is based, including the calculation of any damages awarded. The arbitrator has the same authority to award relief on an individual basis that a judge in a court of law would have. The award of the arbitrator is final and binding upon you and Capitalise. 13.5 Waiver of Jury Trial. YOU AND CAPITALISE WAIVE ANY CONSTITUTIONAL AND STATUTORY RIGHTS TO GO TO COURT AND HAVE A TRIAL IN FRONT OF A JUDGE OR A JURY, OTHER THAN IN RESPECT OF EXCLUDED DISPUTES. You and Capitalise are instead electing to have claims and disputes resolved by arbitration. In any litigation between you and Capitalise over whether to vacate or enforce an arbitration award,YOU AND CAPITALISE WAIVE ALL RIGHTS TO A JURY TRIAL, and elect instead to have the dispute be resolved by a judge. 13.6 Waiver of Class or Consolidated Actions. ALL CLAIMS AND DISPUTES WITHIN THE SCOPE OF THIS ARBITRATION AGREEMENT MUST BE ARBITRATED OR LITIGATED ON AN INDIVIDUAL BASIS AND NOT ON A CLASS BASIS. CLAIMS OF MORE THAN ONE CUSTOMER OR USER CANNOT BE ARBITRATED OR LITIGATED JOINTLY OR CONSOLIDATED WITH THOSE OF ANY OTHER CUSTOMER OR USER.If, however, this waiver of class or consolidated actions is deemed invalid or unenforceable,neither you nor we are entitled to arbitration; instead all claims and disputes will be resolved in a court as set forth in Section 13(12) below. 13.7 Confidentiality. No part of the procedures will be open to the public or the media. All evidence discovered or submitted at the hearing is confidential and may not be disclosed,except by written agreement of the parties, pursuant to court order, or unless required by law.Notwithstanding the foregoing, no party will be prevented from submitting to a court of law any information needed to enforce this arbitration agreement, to enforce an arbitration award,or to seek injunctive or equitable relief. 13.9 Opt-out. You may opt out of this arbitration agreement. If you do so, neither you nor Capitalise can force the other to arbitrate. To opt out, you must notify Capitalise in writing no later than thirty (30) days after first becoming subject to this arbitration agreement. Your notice must include your name and address, your Capitalise username and the email address you used to set up your Capitalise account (if you have one), and an unequivocal statement that you want to opt-out of this arbitration agreement. You must send your opt-out notice to this address: info@capitalise.ai. 13.10 Small Claims Court. Notwithstanding the foregoing, either you or Capitalise may bring an individual action in small claims court. 13.11 Arbitration Agreement Survival. This arbitration agreement will survive the termination of your relationship with Capitalise. 13.12 Venue for Excluded Disputes. Excluded Disputes shall be governed by and construed in accordance with the laws of Israel, without regard to the principles of conflict of law therein.The parties consent to the exclusive jurisdiction of the courts of Tel Aviv-Jaffa in respect of Excluded Disputes and hereby submit themselves to the jurisdiction of these courts.13.13 U.N. Convention. The application of the United Nations Convention of Contracts for the International Sale of Goods or other international laws is expressly excluded, whether the claim is in arbitration or at court. (i) if any provision of these Terms is held to be unenforceable, such provision shall be reformed only to the extent necessary to make it enforceable and if such provision is determined to be invalid or unenforceable nonetheless, the provision shall be deemed to be sever able from the remainder of these Terms and shall not cause the invalidity or unenforceability of the remainder of these Terms; (ii) You acknowledge and agree that Capitalise has the right, at any time and for any reason, to redesign or modify the Capitalise IPR and other elements of the Services or any part thereof; (iii) these Terms are the entire agreement between you and Capitalise regarding the subject matter herein and these Terms shall not be modified except by a written instrument executed by both parties; (iv) Capitalise may assign these Terms, in whole or in part, in its sole discretion. You are not entitled to assign or otherwise transfer the Terms, or any of your rights or obligations here under, to any third party without the prior written consent of Capitalise . Any unauthorized assignment will be void and of no force or effect; (v) no provisions of these Terms are intended or shall be construed to confer upon or give to any person or entity other than you and Capitalise any rights, remedies or other benefits under or by reason of these Terms; (vi) Capitalise's failure to enforce any rights granted here under or to take action against you in the event of any breach here under shall not be deemed a waiver by Capitalise as to subsequent enforcement of rights or subsequent actions in the event of future breaches; (vii) all waivers must be in writing. Any waiver or failure to enforce any provision of these Terms on one occasion will not be deemed a waiver of any other provision or of such provision on any other occasion; (viii) ANY CAUSE OF ACTION INITIATED BY YOU AND ARISING OUT OF OR RELATED TO THE SERVICE MUST COMMENCE WITHIN ONE (1) YEAR AFTER THE CAUSE OF ACTION ACCRUES. OTHERWISE, SUCH CAUSE OF ACTION IS PERMANENTLY BARRED AND YOU SHALL BE DEEMED TO WAIVE ANY CLAIM YOU MAY HAVE IN ESPECT THEREOF. 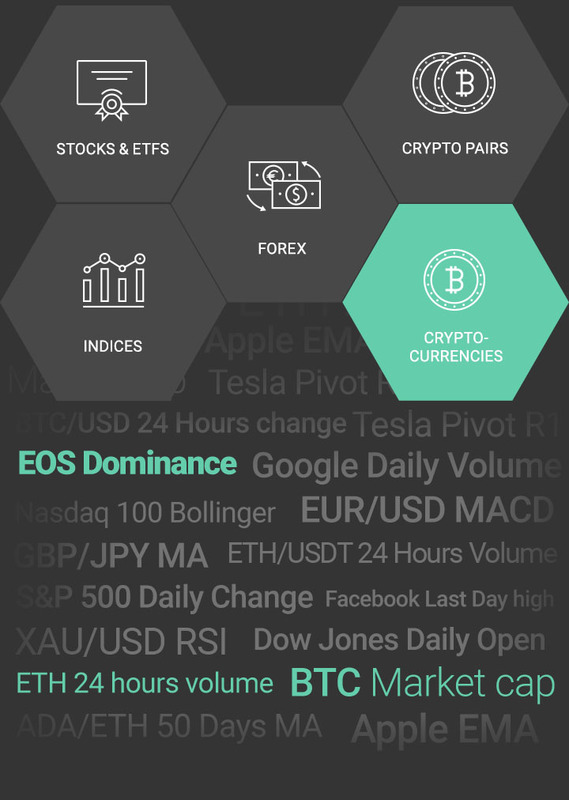 Please also read Capitalise Crypto's Term of Use at: https://www.capitalisecrypto.ai/, which describe the terms under which you use our Services. 1.3. User Communications. When you send email or other communication to the Company, we may retain those communications in order to process your inquiries, respond to your requests and improve our Services. We may send you push notifications with news and updates in respect of the Services. We may also send you newsletters and promotional communications, you may opt-out of this service at any time by submitting a request at the following link: support@capitalisecrypto.ai . 7. Data Integrity, Accessing and Updating Personal Information. The Company processes PII only for the purposes for which it was collected and in accordance with this policy or any applicable service agreements. We review our data collection, storage and processing practices to ensure that we only collect, store and process the PII needed to provide or improve our Services. We take reasonable steps to ensure that the PII we process is accurate, complete, and current, but we depend on our users to update or correct their PII whenever necessary. Nothing in this policy is interpreted as an obligation to store information, and we may, at our own discretion, delete or avoid from recording and storing any and all information. Upon receipt of your written request and enough information to permit us to identify your PII, we will, if required by law, disclose to you the PII we hold about you. Upon your request, we will also correct, amend or delete any PII that is inaccurate. We do not charge for complying with a correction request, however, for all other requests, we may charge a small fee to cover its costs. Requests to delete PII are subject to any applicable legal and ethical reporting or document retention obligations imposed on the Company. We may decline to process requests that are unreasonably repetitive or systematic, require disproportionate technical effort, jeopardize the privacy of others, or would be extremely impractical, or for which access is not otherwise required. 11. Questions.If you have any questions about this policy or concerns about the way we process your PII, please contact us at support@capitalisecrypto.ai. If you wish to delete all information regarding your use of the Services, please contact us at: support@capitalisecrypto.ai. Leave your info with us and we’ll let you know when our white paper is published. 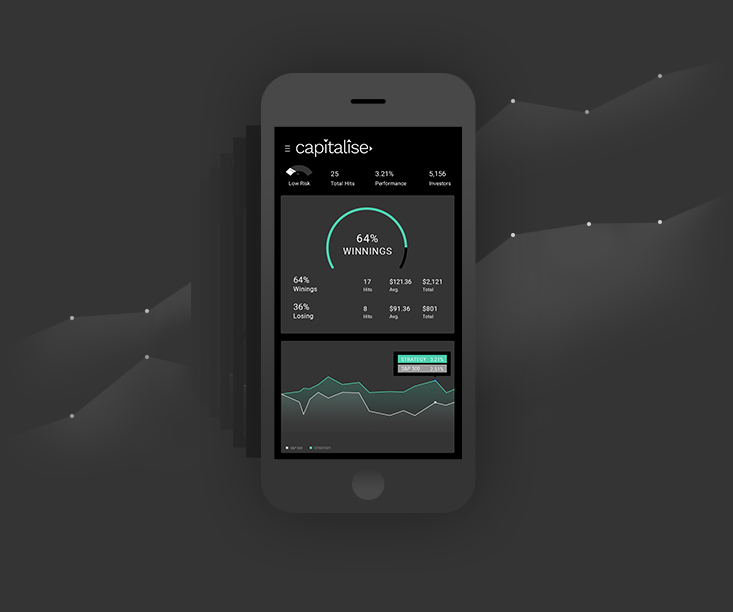 With Capitalise, there’s no more anxiously awaiting the right moment to act. 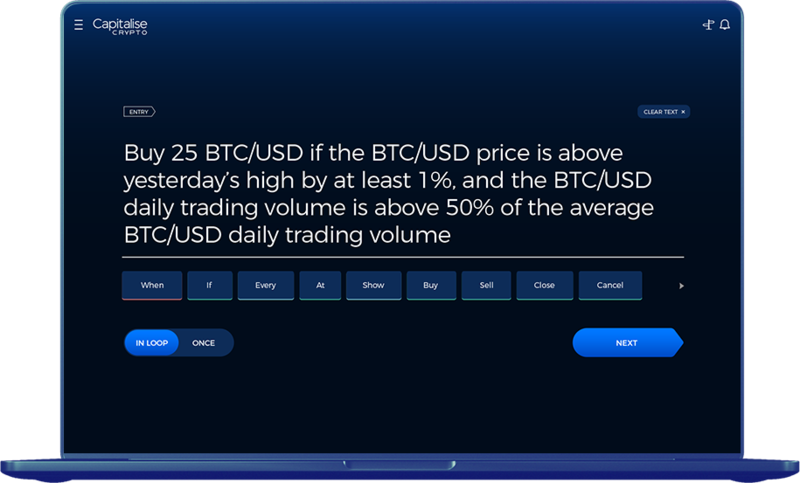 Our natural language-based user interface makes it easy to automate trading scenarios. 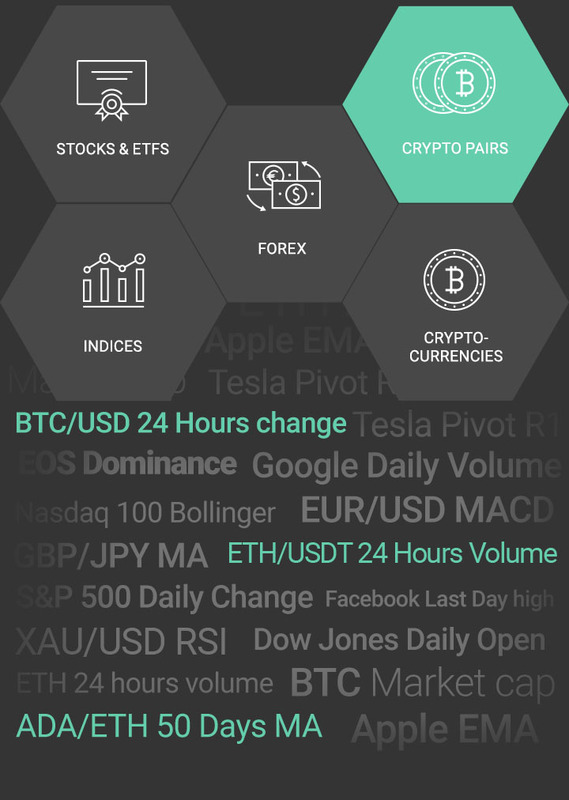 The platform integrates with trading accounts on multiple third-party exchanges and brokers, so you can manage all your trades in one place and take control over your trading. No coding required. Use common, everyday language to program investment ideas. Plan for the long run. Repeat your trade indefinitely when you run it in a loop, serving as your long-term investment vehicle. Automate everything. Program both your entry and exit and automate your trades from start to finish. Act in real time. 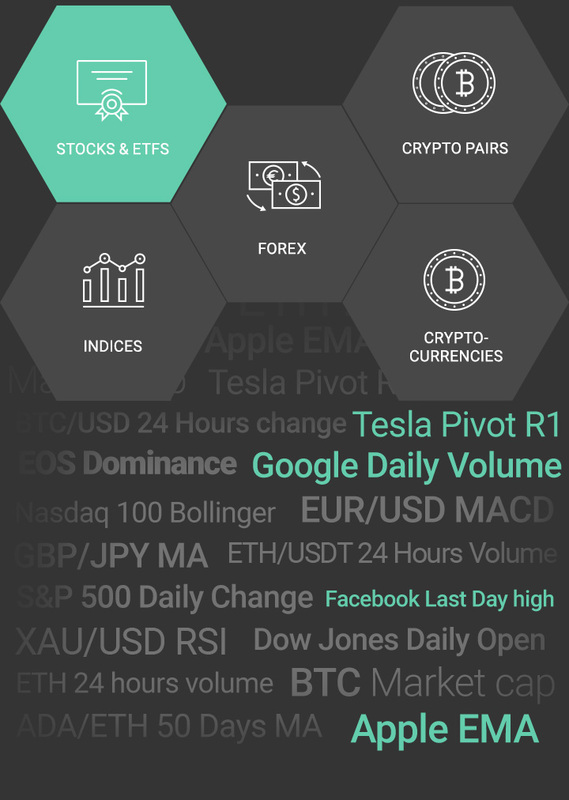 Set your conditions and automate your trades using different data sources from more than 60 sources across the web. Test your strategy. Run your strategies in simulation mode using real-time data, totally risk-free. Maximize potential. Open as many strategies as you want — only strategies that are triggered will use your buying power. Get notified. Set up notifications for a specified scenario, and we’ll let you know if and when it happens. Oversee everything. 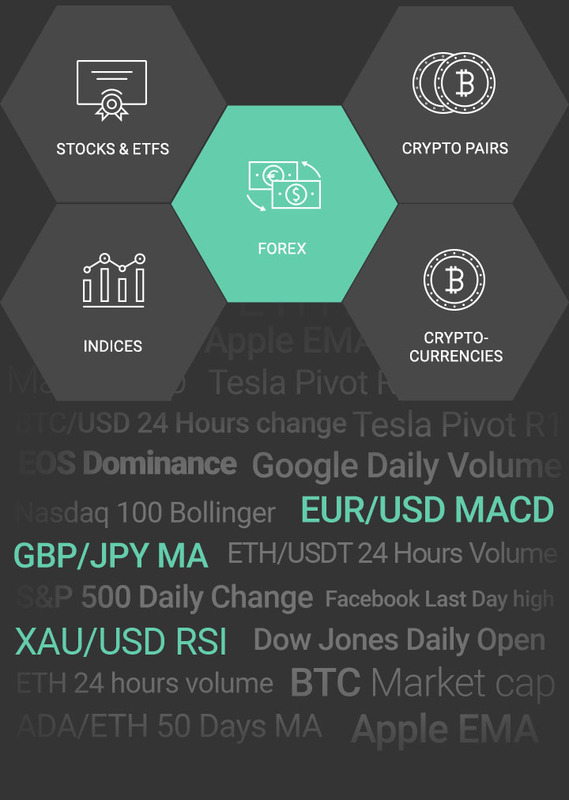 Instantly manage real-time trades across multiple exchanges, on one, central platform. In the Social Arena, traders of varying skill and experience benefit from one another in a symbiotic social network of investors. From the rookie trader to the veteran investor, users all along the skill spectrum can work together for the best possible communal outcome. Simulate any scenario using historical data to see exactly how that scenario would have performed. Plus, our platform simultaneously tests alternative scenarios, notifying you if it finds something more successful. Then, you can evaluate these suggestions and modify your strategy accordingly.